In the wake of 2008's financial crisis, transportation was one of the hardest-hit segments of the nearshore manufacturing sector. The Great Recession was particularly unkind to domestic automotive manufacturers, and the government's decision to provide financial assistance to the then-struggling industry has been much discussed. But recent months have seen substantial recovery from the economic difficulties of the past several years. The recent surge in economic health has been felt by a variety of industries and many segments of the manufacturing sector, and transportation is enjoying its share of the positive news. The figures are looking up for automotive manufacturing - but the recovery is still underway, and business cost reduction remains vital. According to the Associated Press, Ford recently announced that it experienced strong sales numbers in 2013. Over the past year, the company sold more than 2.4 million cars and trucks. Of those, 600,000 were passenger cars - the greatest number of such vehicles sold by the manufacturer in a single year since 2000. Sales in November 2013 rose by 12 percent overall in comparison with October, and that figure stands at 15 percent for the firm's non-fleet vehicles. Increased demand for sustainability from the consumer product market is partially responsible for the growth. According to the news source, Ford stated that smaller cars including the Fiesta and Fusion have sold particularly well, as has the C-Max hybrid vehicle. The United States, of course, was not the only country affected by the recession - and neither is it the only nation currently experiencing a recovery from the economic downturn. German car manufacturer Volkswagen recently announced that in the years since 2007, the company has added 248,000 new employees, Manufacturing.net reported. Of these, 123,000 were newly created jobs, and 125,000 came from mergers or buyouts. Volkswagen board member Dr. Horst Neumann, however, was careful to note that the growth has been accompanied by increased revenue and output. "The number of employees has grown strongly over the past six years. At the same time, we have also significantly improved our productivity and earnings," said Horst, according to the news source. Meanwhile, the United Kingdom's automotive industry is also seeing improvements. 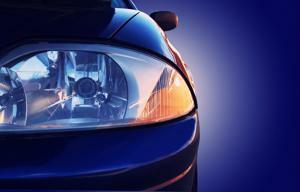 According to Reuters, car manufacturing among UK firms increased by 4.5 percent during the first 11 months of 2013. The growth reflects an increase in demand, which grew by 24.2 percent in the domestic market. Although the signs may be positive, optimism is always best accompanied by caution, and companies in the automotive space need to ensure that they closely manage their costs of manufacturing.